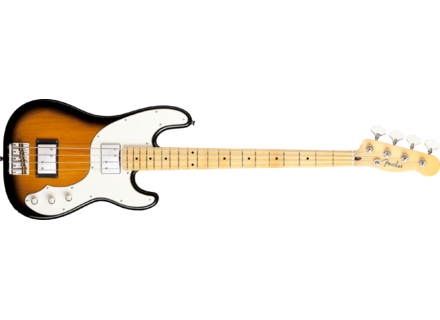 Modern Player Telecaster Bass, 4-string bass guitar from Fender in the Telecaster Bass series. When I went to pick up these beauties at AudioFanzine's editorial office, I asked myself how many Jazz and Precision basses I had already reviewed in my life as an editor. From Standard to Deluxe, Vintage, Special and Classic versions, from US to Mexican and Japanese, not to mention the Korean Series and Squier — Fender's offer is very wide and almost confusing. I actually decided to count them for you (and a little bit for me too) and here is the result: Fender's catalog includes not less than 50 JB and PB versions (without taking the different finishes available for each model into account), but only two Jaguar and one single Mustang basses. Imagine going to a car dealer to buy a new car and having to choose from four dozen variations of the same car, a tricycle and a golf cart! 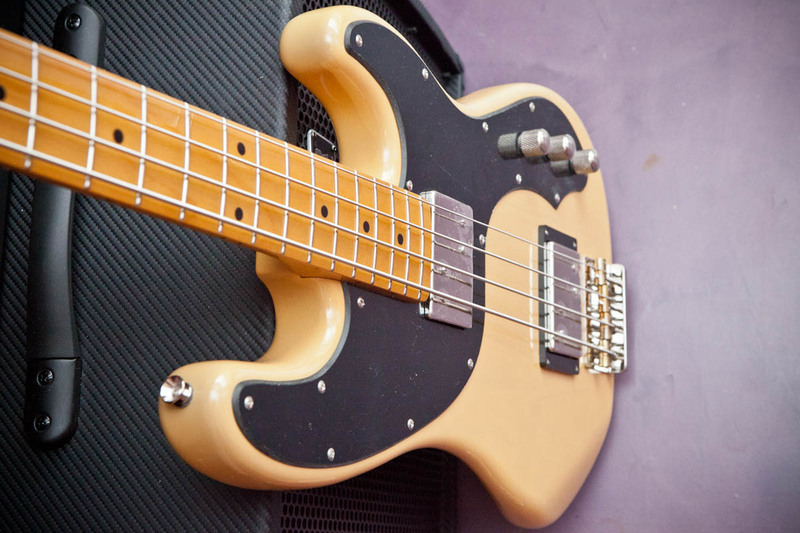 Fender's fidelity to its bass guitar classics is obvious. However, this review does reveal something new: first of all, although both basses feature the Fender label, their country of origin is China. Moreover, they don't use their standard pickup combinations, which certainly is a very important point considering that both instruments got their name from their respective pickup sets. So let's put our hands on this new Chinese girls! In former reviews dedicated to Fender (60th Anniversary and American Specials series), I told you about Leo Fender's story. 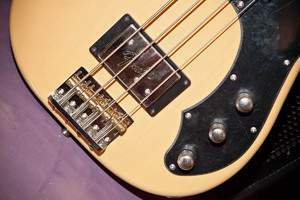 Let's pick up from where we left off: we were in 1951, a very important year for us since it saw the consolidation of the Precision Bass as a successful instrument in the bass guitar market. Leo Fender had already understood that the success of an electric instrument relied on amplification, so he launched a bass combo in 1952 that was able to withstand the signal of the Precision Bass. This 35-watt amp was called Bassman. The success was almost immediate, especially among jazz musicians (Lionel Hampton's orchestra was the first to include this instrument). In the meantime, pop and rock musicians would still prefer rockabilly-style double bass for several years. 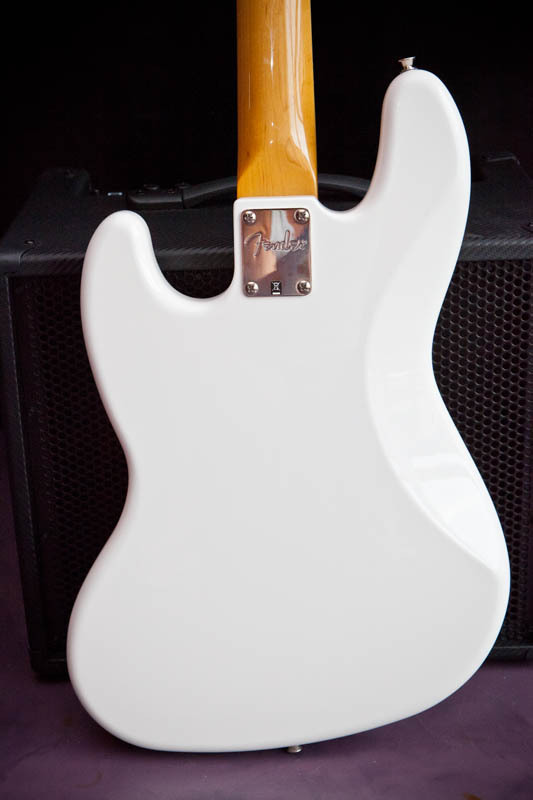 It's interesting to mention that guitar players also loved the Bassman, mainly for its high output power. And when it came to six-string guitar, Leo would listen to the needs of musicians for more sound versatility (the bright Telecaster sound isn't for everyone) and improved ergonomics (the angular Telecaster body is not the most comfortable), and was about to present a new legend in 1954: theStratocaster. For this project, he worked with Freddy Tavares and Bill Carson starting in 1953. The shape of the Stratocaster was based on the '53 Precision Bass whose roundness was in turn inspired by the design concept used by the automobile industry in the 1950's. The top of the body included a new bevel edge for the right arm, three pickups and a tremolo bar to compete with the Bigsby system introduced in 1952. Right away, the Stratocaster became a standard and still remains the most copied electric guitar to date. In 1957 came the turn for the Precision Bass to take the Stratocaster as a model: its shape was improved and the single coil replaced by the famous split-coil pickup still used today. 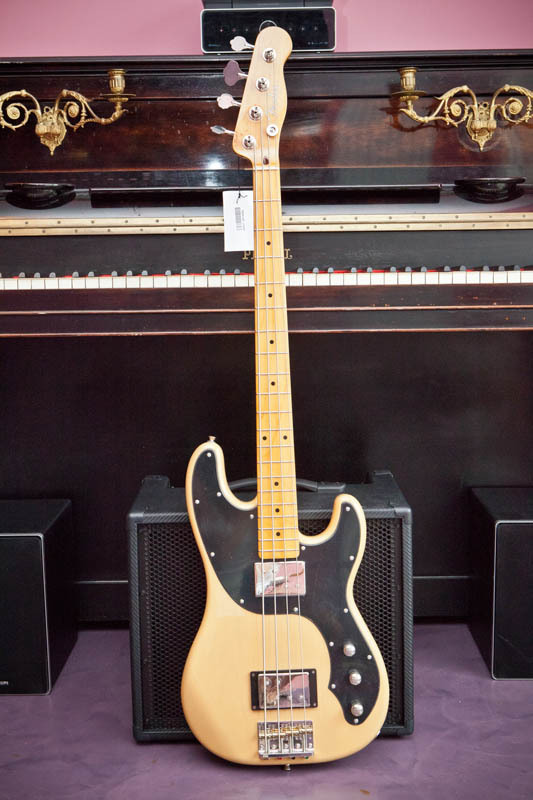 In 1960, that is to say nine years after the launch of its first bass guitar, the manufacturer presented its last legendary instrument, the Deluxe Model which would be quickly renamed Jazz Bass. 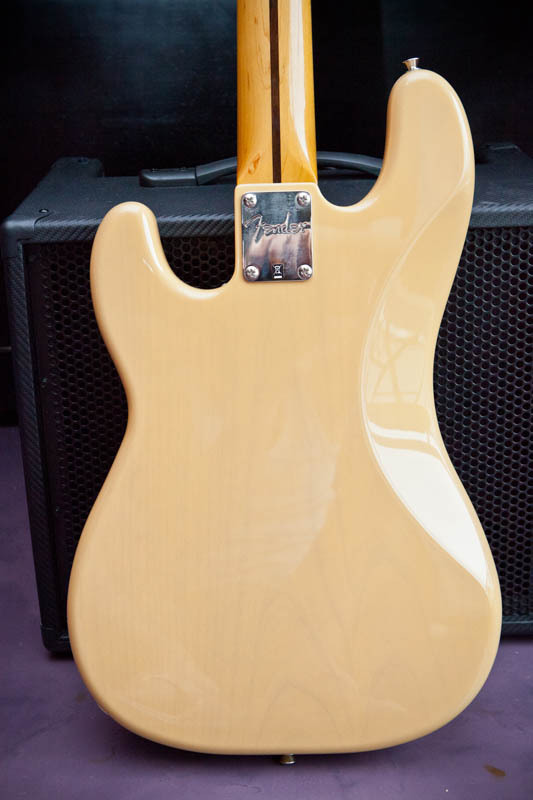 The neck is thinner at the nut than the Precision Bass, the shape of its body is inspired by the Jaguar and Jazzmaster developed a bit earlier. 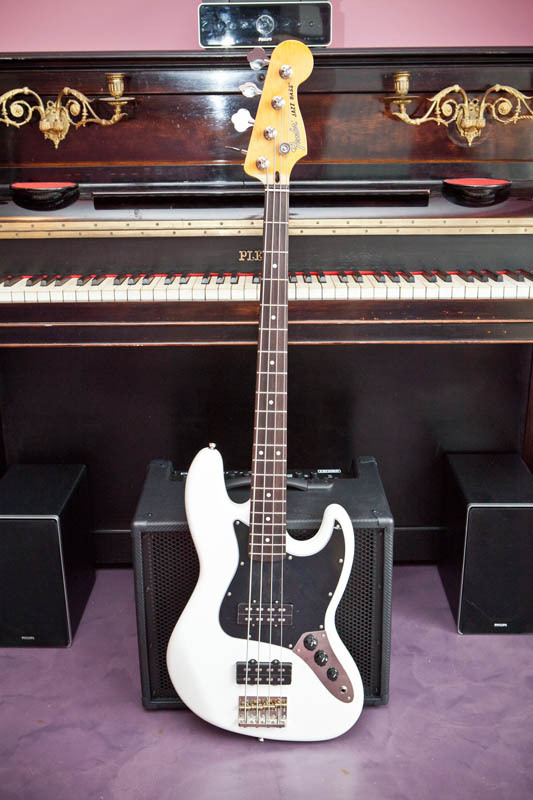 But it was mainly the pickup combination that made the personality of the Jazz Bass stand out: a pair of parallel single-coils using two coils for each string. The sound was tighter than that of the Precision, because the main asset in those days was to avoid damaging the low-quality speakers of bass amps. This particular sound would become later a real signature thanks to great musicians like Jaco Pastorius and, of course, Larry Graham. By the way, while doing my research for this review, I found a classified ad that could be of interest for rich fans of Jaco. After all, even bass players can win the lottery! First of all, I suggest you to equip yourself with a sharp tool if you want one of these Fender basses because their cardboard boxes are very resistant. mAnd I want to point out that they are also cleverly conceived with reinforcement areas on the top and the bottom, as well as on both sides. Almost impressive! But it will never replace a free gig bag provided with the instrument. Nevertheless, this Telecaster Bass looks quite alright with nice curves and glossy pickup caps that will allow you to check if you still have food stuck between your teeth! The nice Butterscotch Blonde finish lets you see the grains of alder wood underneath. The neck has a nice glossy finish. The overall finish of this bass guitar is perfect. 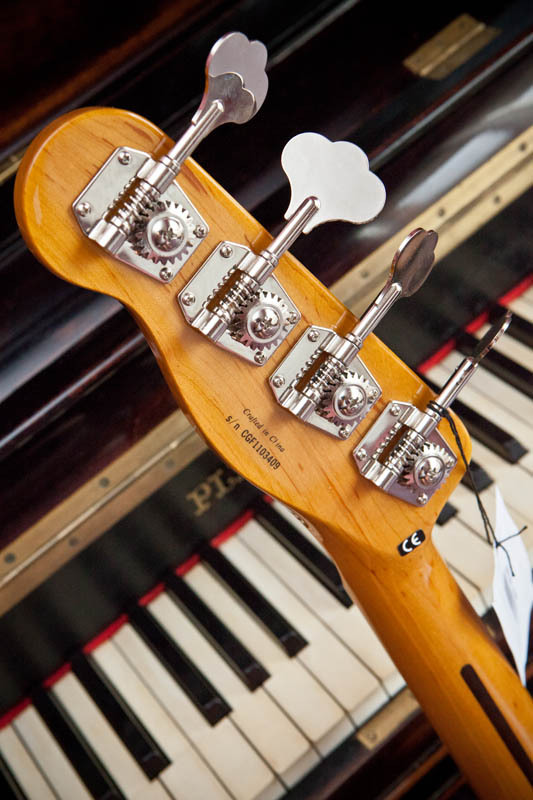 The modern 34" scale neck feels pleasant and features a maple fingerboard. I find this last feature great because I love Precision basses with maple fingerboards (read further to learn why this wood was predestined to this bass). The 9.5" radius is quite different from the dimensions of older Precisions (7.25" radius), thus the neck feels flatter, which I personally like. The width of the nut is also modern (1.625"). The headstock comes from a Telecaster and is equipped with open-gear tuners. The bridge design is rather simple but seems to be very rugged. The originality of this instrument comes from the combination of two identical split-coil humbucker pickups, which are as far as possible from each other: one against the neck and the other next to the bridge. Each pickup offers four paired pole pieces whose height you can adjust with a screwdriver. The passive electronics offers two volume plus one tone controls. Last but not least, its ergonomically shaped body allows you to rest your right arm on it without suffering. This kind of fresh retro-unconventional mix is quite appealing. But it's time to discover the Jazz Bass. The description of this JB — not the whiskey! — will be shorter, not because it's less interesting than the Tele but because both basses are similar. Same wood for the body, same controls (Volume, Volume, Tone), same neck radius, same bridge, same tuners. But this time, the fingerboard is made out of rosewood and is much more narrow (1.5" nut width), which is typical for a Jazz Bass. I find the finish is less appealing: this Olympic white looks a bit sad and not translucent at all. A three-ply black pickguard is screwed on the body. 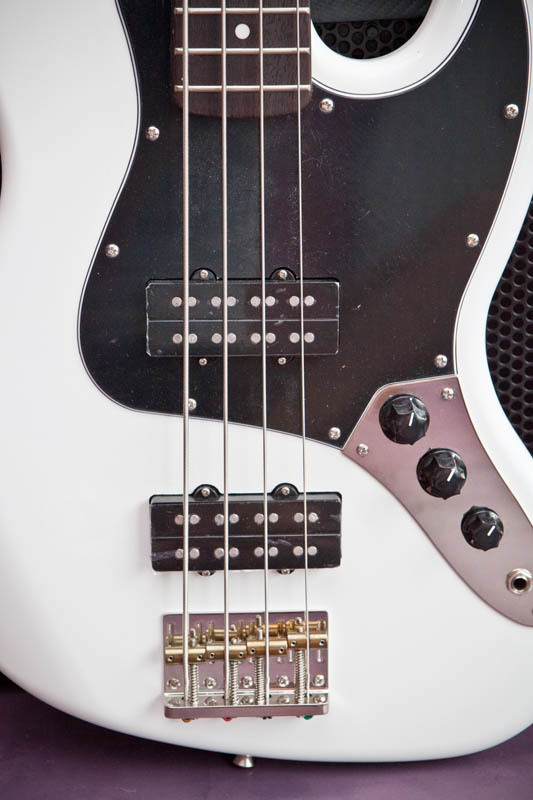 On the other hand, the pair of dual Jazz Bass pickups in bridge and neck positions are very appealing. All you need to get a biting sound. The varnish was properly applied. Unlike the Telecaster, which has a maple fingerboard, only the back of the neck is varnished. It's time to pump up the volume and speak about sound. I connected both instruments directly to my Novation audio interface and got ready to shake the walls of my office until the wallpaper came off. The two felt very pleasant. I played both while standing without any discomfort, except for the neck pickup on the Telecaster, which can be disturbing when playing pop-outs. I also recommend all future buyers of this bass guitar to develop their back muscles... Sorry if it sounds like a macho thing, but this bass guitar isn't for girls. And since I have six-pack abs just like Dwayne Johnson, it's absolutely no problem for me! But take my wonderful body out of your mind because I don't want to make anybody envious, and I also know you are eager to hear some sound samples. Even if I don't consider myself someone who thinks that a Precision Bass (I mean the Telecaster Bass) can be compared with a Jazz Bass, I used the same settings for both instruments. So you get nine samples per instrument in order for you to get an idea of how each Chinese beauty sounds. The Telecaster Bass is for you if you want a deep bass sound with round (finger picking) or powerful (with a pick) attacks. I love the fast neck and the neck pickup for its very deep response and its vintage and soft high frequencies. I don't really like the tone of this pickup when playing upper frets because it's not twangy enough in the low-mids and has a clear lack of brilliance, especially when slapping. The maple fingerboard is a real safeguard against this. I recommend you to raise up the pickup height a little bit in order to increase the output level which is a bit lower than that of the neck pickup. As for the overall sound of the instrument, I must admit that I fell a bit in love with this passive Chinese bass guitar selling for under $600. It sounds like an old Hagstrom with the foundations of a Precision Bass. The Jazz Bass sounds more modern and is very responsive and dynamic, as I expected. The twin pickups are very complementary. The instrument is perfect for slapping (yes, even passive bass guitars can sound percussive), but the tone can become too harsh when playing with a pick. The response of the neck pickup is quite fat and deeper than a single-coil. The bridge pickup gives also good results when the tone control is turned clockwise. On the other hand, when the tone control is turned counterclockwise the sound didn't quite convince me. With this setting, I prefer the twangy character of a Jazz Bass single-coil pickup. But I'm afraid bass players who might consider this kind of instrument are no Pastorius fans. Personally, I find these new Fender bass guitars under $600 really appealing, especially the blonde one. If I had the money, I would buy and upgrade it with a pair of Darkstar pickups and a Badass bridge, just for fun. That's the reason why I assert that Chinese people are beautiful (easy for me to say since part of my family comes from Guandong) and that they always make everything better! And this is proven by the intrinsic value of the two bass guitars we reviewed today! The value for money is amazing and you get more than only standard features. In short, a fresh concept showing respect for tradition.